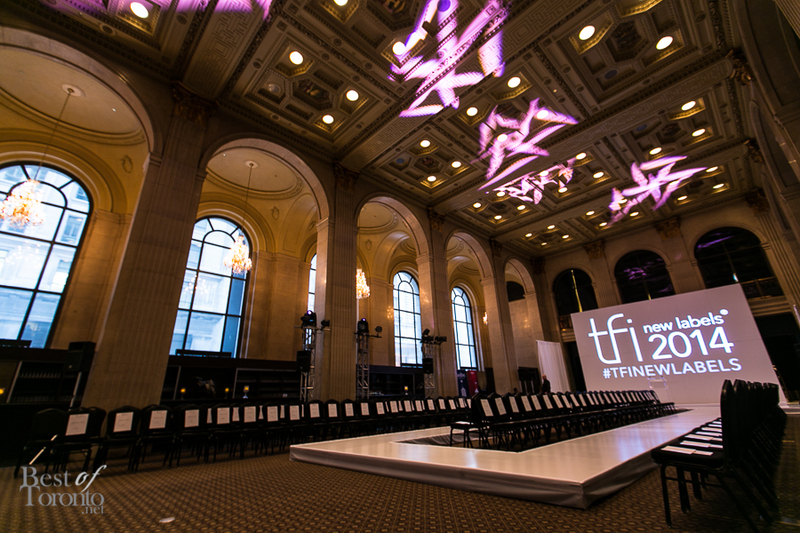 Last week at One King West, 250 people attended an exclusive fashion event showcasing the works of 4 short-listed Canadian fashion designers as part of the annual TFI New Labels event. Miriam Baker showed her AliceAzur collection alongside finalists Christopher Paunil Designs, Laura Siegel and NOMAD of the SUN by Ashley Boutcher. Great effort and collections by all. Baker won over the judges with feminine silhouettes with English countryside influences including this gorgeous tea length strapless dress in black/cream eyelet. As the winning designer that evening, Miriam Baker was awarded a $25,000 cash prize for Most Promising New Label presented by Suzanne Rogers to use towards developing her next collection, an editorial spread in FLARE Magazine and production of a look book for her winning collection, provided by beauty partners COVERGIRL and Pantene. The panel of judges for TFI New Labels included: Arie Assaraf (TNT boutique owner), David Dixon (fashion designer), Tiyana Grulovic (FLARE Fashion Director) and Suzanne Rogers (philanthropist). Kudos to the contributions of philanthropist Suzanne Rogers, enabling TFI to support and cultivate Toronto’s growing fashion scene with the annual TFI New Labels. Solid entertainment by featured singer Vita Chambers who rocked the house. She remembered me even though I hadn’t seen her since last summer. It was great to see her getting the exposure she deserves. Congrats to all the fabulous talent showcased at this prestigious event. 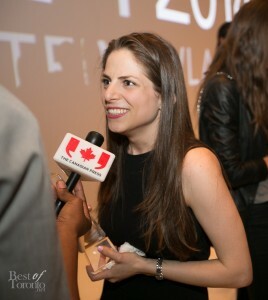 Also check out TFI New Labels 2013 where designer Sarah Stevenson was awarded.